Get ready for some level six cheese. League of Legends Patch 9.3 arrived today, and it was very, very full of big changes. Whether it was Akali being curbed by nerfs or Riot’s balance team attempting to save Irelia after 9.2 gutted her, there was a lot to take in. Some of the biggest changes to arrive today, however, were the ones in the bot lane. Crit items for bot lane carries were redesigned to sort of help them survive against the onslaught of burst carries that have been dominating the meta for months. One of the items that was redesigned was the Essence Reaver, but Riot didn’t want to let go of its old passive ability, so instead, a new item was created for the sole purpose of using that ability. And that’s where the Spear of Shojin comes in. The Spear is a health and AD item. It provides 250 health and 60 AD, which are solid but not too impressive, and it clocks in at a rather high 3,400 gold for what little stats it offers. The real value on this item, though, is the passive. When you cast your ultimate, your first basic attack triggers Awakened Dragon, which reduces non-ultimate ability cooldowns with basic attacks and gives you an attack speed buff, just like pre-9.3’s Essence Reaver. This passive is what makes the Spear so strong, and it’s particularly strong on top laners. Specifically, it’s strong on bruisers like Renekton, Riven, Illaoi, Urgot, Kled, and other champions like that. All of these champions benefit from high AD and health, so the stats are a given, and the Awakened Dragon passive hands them a massive power spike every time their ultimate is up. 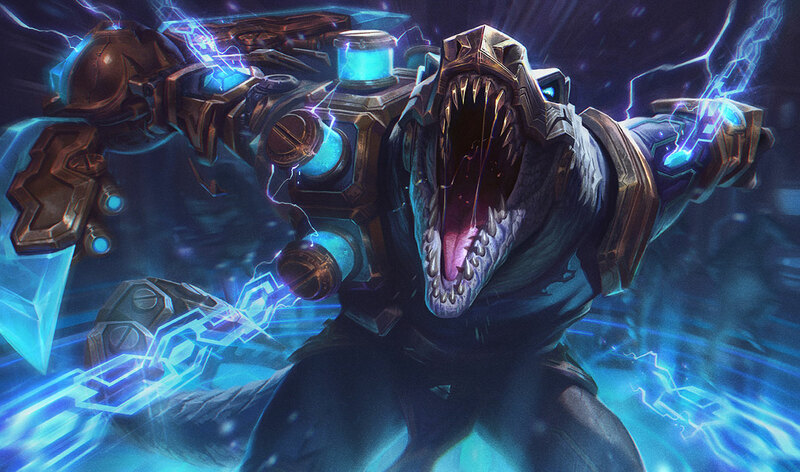 Renekton, specifically, can sort of abuse the system with his W, which counts as three basic attacks. Illaoi gets a lot of use from it, too, and her tentacle-slapping gets incredibly amped up every time she ults now. So sure, marksmen really won out with Patch 9.3 With new items, cheaper power, and higher stats, it’s hard to argue that fact. But with the Spear of Shojin, top laners came home with a pretty big win. If you’re looking for something fun and new to try, we recommend building the Spear on some top laners that love AD and health. It’s super easy to use, and the amount of strength you get at level six is massive enough to make that power spike way more fun, too. We don’t expect top lane bruisers to suddenly strangle the meta, but we wouldn’t be surprised if just a couple of them rose through the ranks due to this item alone.